X47, a manufacturer of high quality leather calendars and NIVREL, manufacturer of high quality timepieces introduce a new joint product for the new year 2012: a weekly calendar booklet for organizers made by X47, where the time is displayed on a round dial. 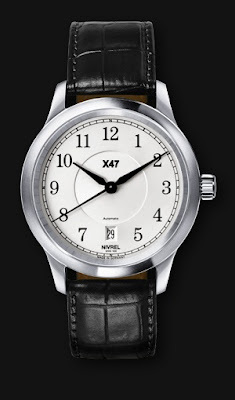 The calendar has the face of a watch and is joined by an original X47 wrist watch produced by NIVREL. The two companies had already formed another joint product in 2011: the NIVREL La Grande Manuelle X47. At that time they had combined two existing products for the special edition. For 2012 NIVREL developed a completely new model, designed to fit the so-called "time circle 2012" calendar of X47. A WEEKLY CALENDAR SHOWING A WATCH FACE? What do calendars and clocks have in common? Both are designed for time management. So it was quite logical that eventually someone would think about ways how to combine these two "tools". 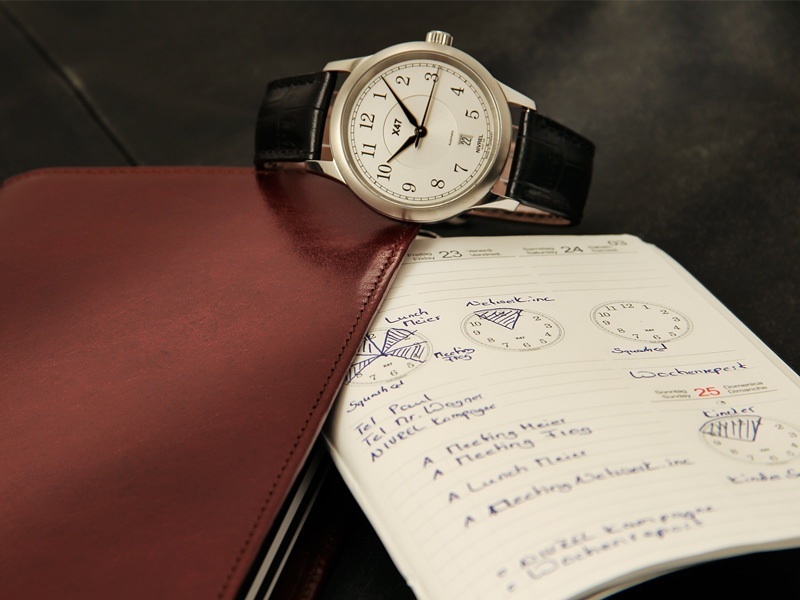 To use a watch dial as a daily organization scheme is an amazing innovation in the field of paper calendars. It allows a brain-oriented planning of the day. 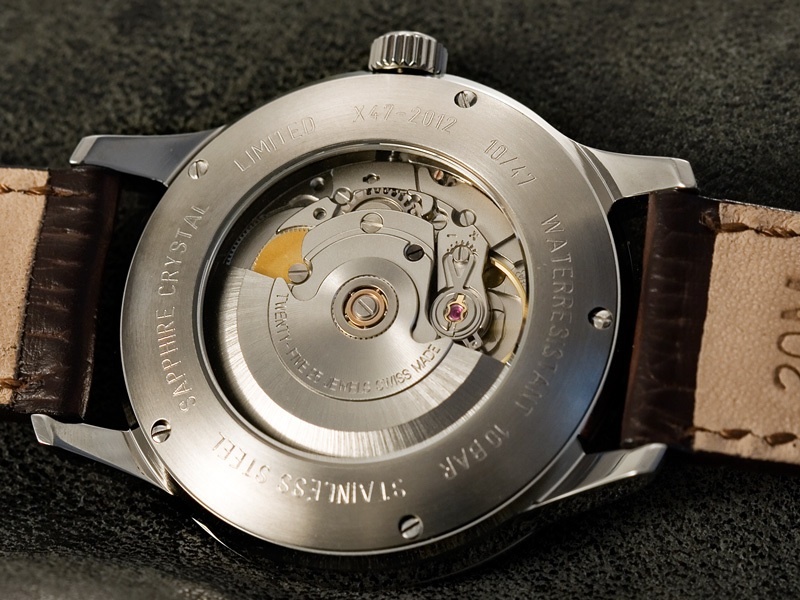 The face of a watch is one of the most culturally influenced schemata of Western society. If you use this scheme, an information reaches the brain faster, and can be stored and recalled better. And that’s exactly how the so-called ‘time circles’ work as calendar inserts for the X47 products. A watch dial allows an overall view for twelve hours. Not only that certain points of time can be marked, also the duration of a period of time can be marked in different segments of the circle. The person planning the schedule always has a quick overview of available times, over the total number of dates, times and buffer overlaps. For daily work, the time circles become a valuable decision making tool. Registered events can be stored visually. The result is that the viewer gets a much faster impression of what still has to be included in the daily planning or what must be deleted.